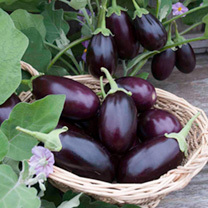 A compact aubergine that's ideal for container growing, bearing clusters of delicious, glossy, dark purple fruits throughout summer. 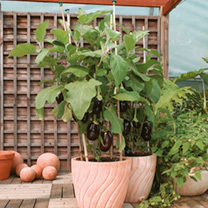 Large, shiny purple, oval aubergines are produced very early on plants of compact, bushy habit. The fruits 'set' well. High yield. Suitable for patio containers. RHS Award of Garden Merit winner. 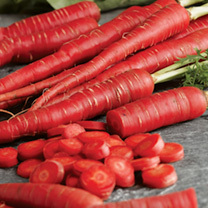 A red-skinned Japanese carrot with sweet pink inner flesh which holds its colour well after cooking. 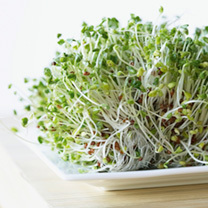 Root length 25-28cm (10-11). Row 6m (20').Unusual coloured type - Brighten up mealtimes and encourage kids to eat their vegetables!